For the past few weeks, Mom and I have been taking a cake decorating class. It’s been a blast and I’ve come to really enjoy decorating cakes. However, they take hours to do, so I’ve only done 3 so far. 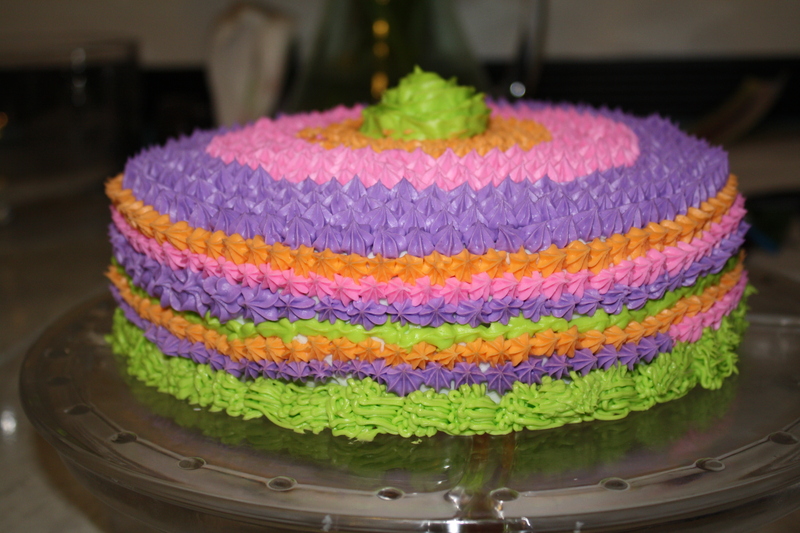 Here’s the first cake that I did. Zack and I actually did this one together. He did everything that’s green on the cake and I did the rest. 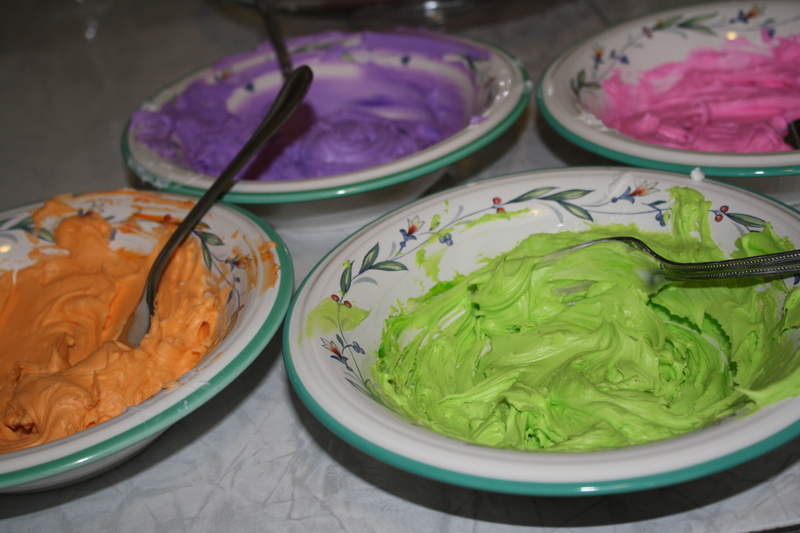 We wanted to have a little fun with the actual cake part, too, so we dyed the cake neon colors. 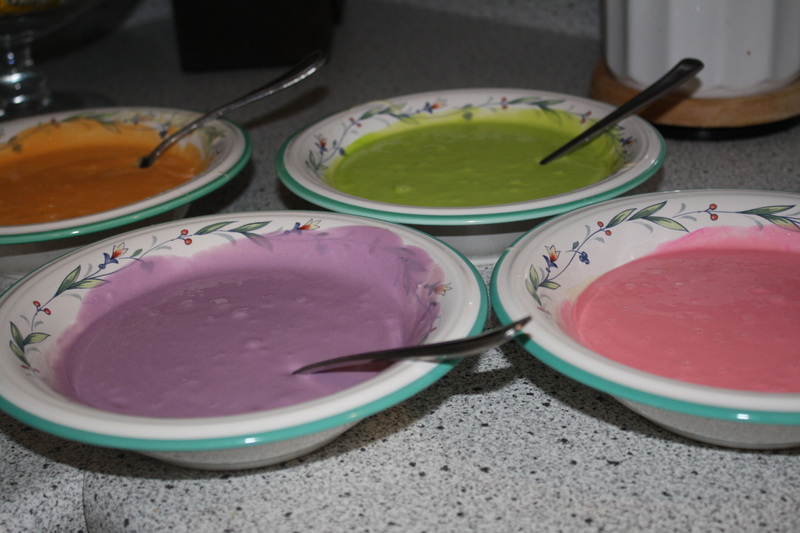 Unfortunately, we used a yellow cake mix, so the colors didn’t turn out as bright as intended. Beautiful festive colors here! Glad you are having fun in your decorating class, I have always wanted to do that. I look forward to seeing more of your creations-have a nice evening. Thank you! I highly recommend the Wilton cake decorating classes. They’re a blast! How pretty is this cake?! I love all the pretty colors! Thanks! I loved making this cake. 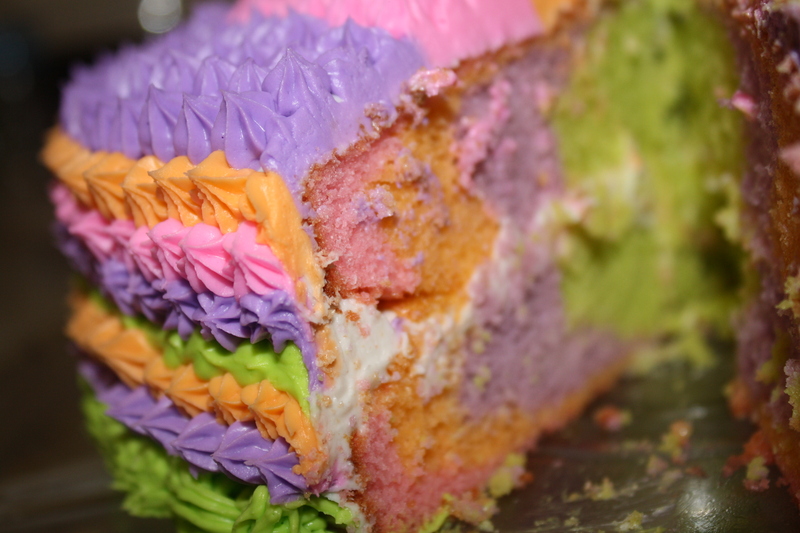 That is one colorful cake and looks like tons of fun to eat lol. My sons would love it! That cake is so legit! 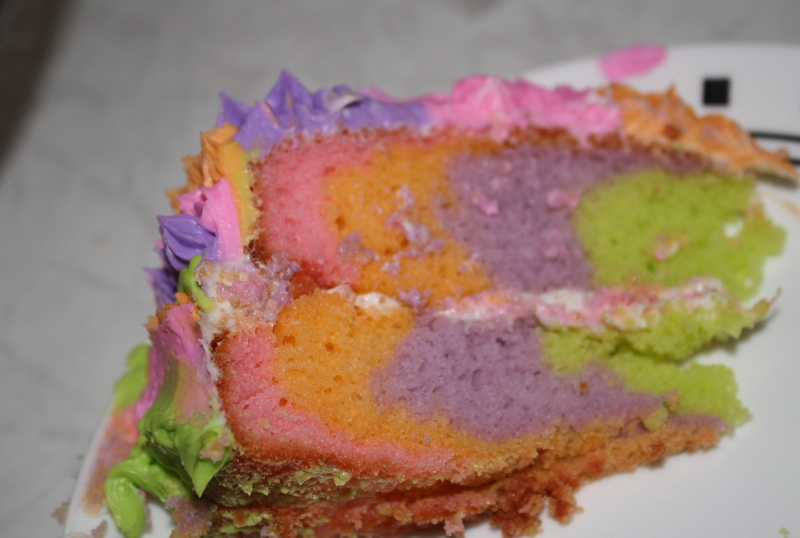 I have never seen color effects like that in the center of the cake. So. Freakin. Cool. Haha, thank you so much! We should swap recipes sometime…yours are awesome too. 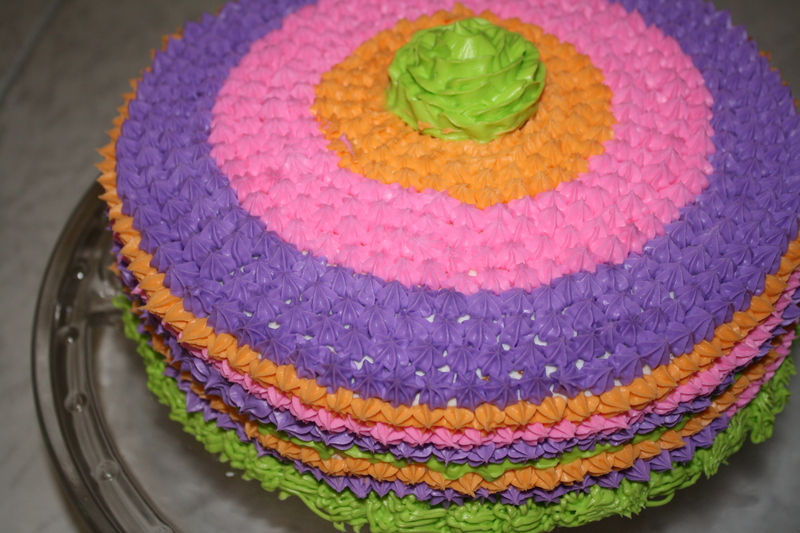 Hi, I think this cakes looks so fun and festive! 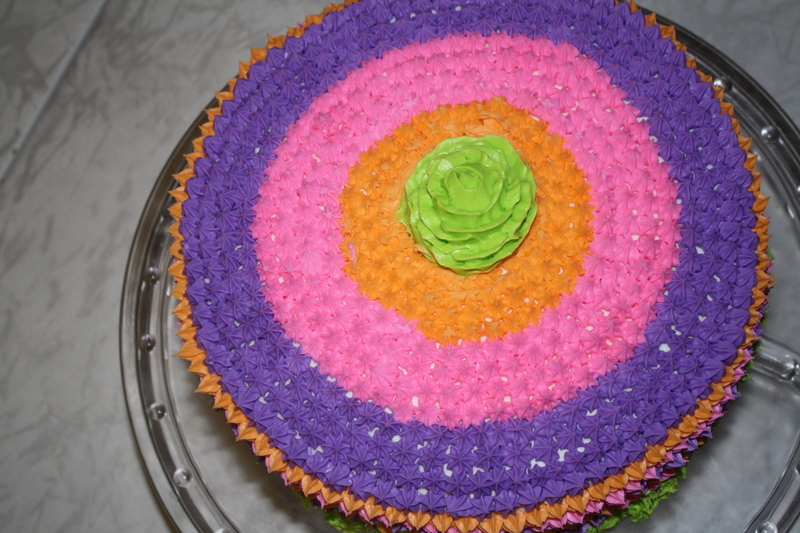 I remember taking cake decorating classes and though some of the assignments were time consuming, it was loads of fun. Thank you for the smile!